Back in 2015, Japanese researchers from the Yamagata University discovered 24 geoglyphs (‘earth carvings’) just a mile north of Nazca that were possibly etched almost two centuries before the famed Nazca lines of the monkey, spider, and hummingbird. Well, this time around, drone photographs have revealed 50 ‘new’ geoglyphs in the proximate area. According to some circles in the academic world, these new pieces of evidence give further credence to the hypothesis that the Nazca lines were created by different cultures across contiguous time-periods. The new discoveries were made by the collaborative effort of archaeologist Johny Isla, who is considered as Nazca Lines’ chief restorer and protector, archaeologist Luis Jaime Castillo Butters, of the Pontifical Catholic University of Peru, and Sarah Parcak, the renowned space archaeologist and founder of the Laboratory for Global Observation. Pertaining to the latter, Parcak made the headlines in the archaeology field by potentially identifying possible Viking sites in North America. In any case, reverting to this scope of aerial photography, the researchers could discern how these ‘new’ lines, identified in Peru’s Palpa province, are leaner and longer, with some sections only having widths of few inches while covering extensive areas equivalent of football fields. Interestingly enough, many of the geoglyphs depict human and specifically warrior figures, as opposed to the popular Nazca lines that tend to portray animals and supernatural beings. Furthermore, these lines were mostly located atop the hilly terrain, thus contrasting with the Nazca lines that were predominantly etched on flatlands. Preliminary assessments of these extensive yet wiry ground-etchings point to how some of them were possibly made almost 2,500 years ago – by the contiguous Paracas and Topará cultures, from circa 500 BC to 200 AD. It should also be noted that historically the Paracas and Topará might have co-existed in a particular time-period (possibly by circa 1st century BC), in spite of the latter possibly being an ‘invading’ people from the northern parts of the region. The Nazca culture then held sway over the area, from circa 200 AD to 700 AD. Now beyond the scale and scope of the discoveries, the question still lingers – why were the Paracas and the Nazca lines made in the first place? Well, in that regard, the academic world leans towards two hypotheses. The first one relates to how these geoglyphs could have been etched to complement a processional route that led to a pre-Incan temple complex. The second conjecture alludes to how a succeeding faction (at a later date) scattered bits of ceramic pot on the intersecting patterns to observe some kind of a religious ritual. Consequently, a study conducted by researchers at the Yamagata University in 2015 concluded that the Nazca lines (and surrounding geoglyphs) were created by two separate group of peoples who lived in different parts of the arid region. As for the basis of the study, the Japanese archaeologists uncovered a substantial number of geoglyphs along with other objects like shards of broken ceramic pots. 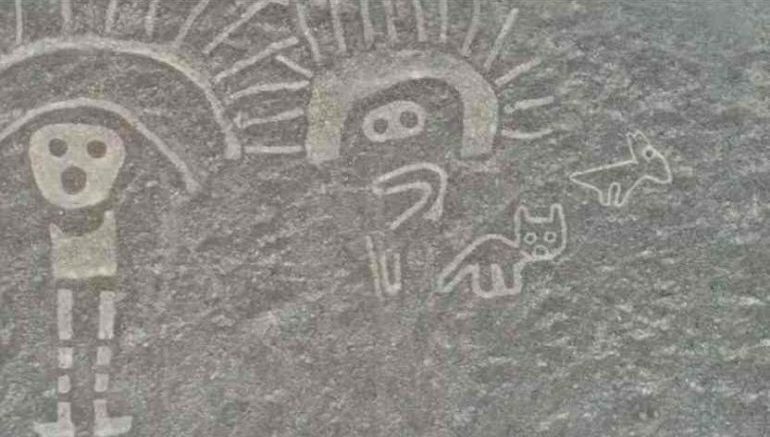 Closely analyzing their locations, intrinsic patterns and even methods of creation, the experts were able to decipher sets of variant Nazca lines arrayed along the different pathways that led to the aforementioned temple complex. These patterns were probably made by a faction from the Ingenio Valley – since many of etchings started out from that particular area. On the other hand, the researchers also discovered a separate set of Nazca lines (mostly alluding to supernatural beings) that are concentrated in the Nazca Valley. 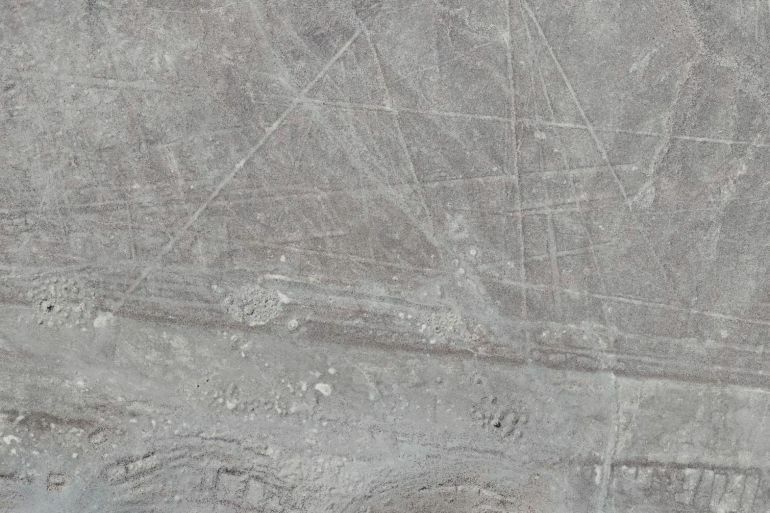 These geoglyphs were probably made by a different faction who lived in the proximate Nazca region. Lastly, coming to the temple complex in question, this pre-Inca site known as Cahuachi, has archaeologically yielded pieces of evidence, including pyramids, religious structures, and grim objects like human heads. 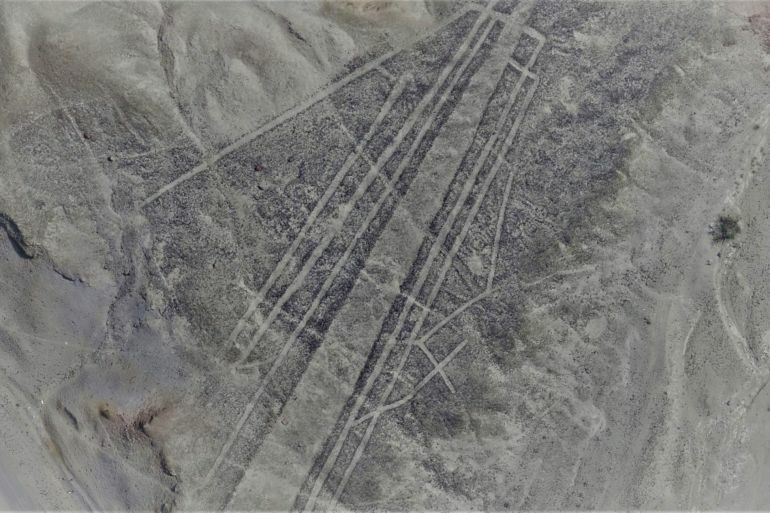 Reverting to the earlier discussion, the primary purpose of the Nazca lines might have been associated with the pilgrimage routes that led to this expansive compound. In essence, the ornamented patterns were etched on the ground to denote the routes to the religious complex. But as time went on (after 3rd century AD), the purpose possibly changed, with people by then focusing more on the lines rather than the complex. In that regard, folks (from circa post 200 AD) might have placed intentionally broken ceramic pieces along the intersections so as to perform some localized rituals.